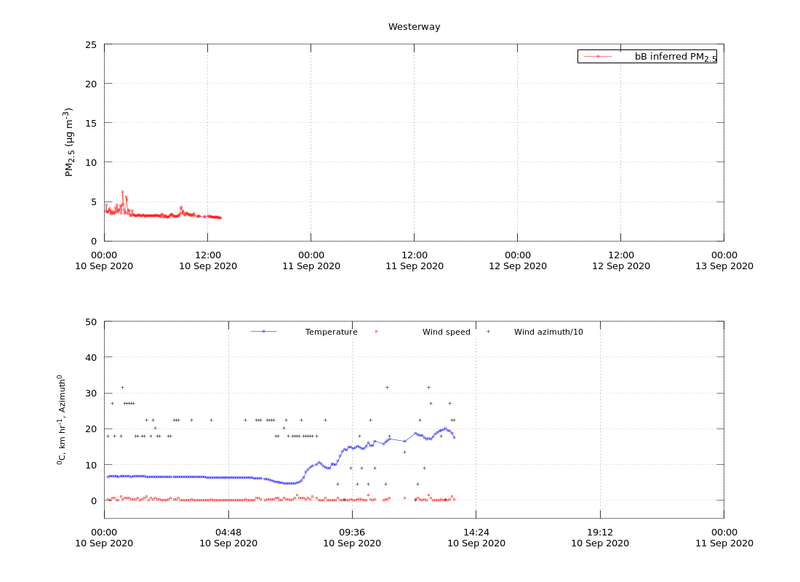 This page shows PM2.5 data from the temporary Westerway air station, located in the town. Meteorological data may also become available at a later date. The information here should be regarded as preliminary. The station was established to provide additional air quality information during the January 2019 bushfires. We thank the Department of Education for access to the site.